campaign name: a short description that will be used only to identify the campaign, and not be displayed in the email message. 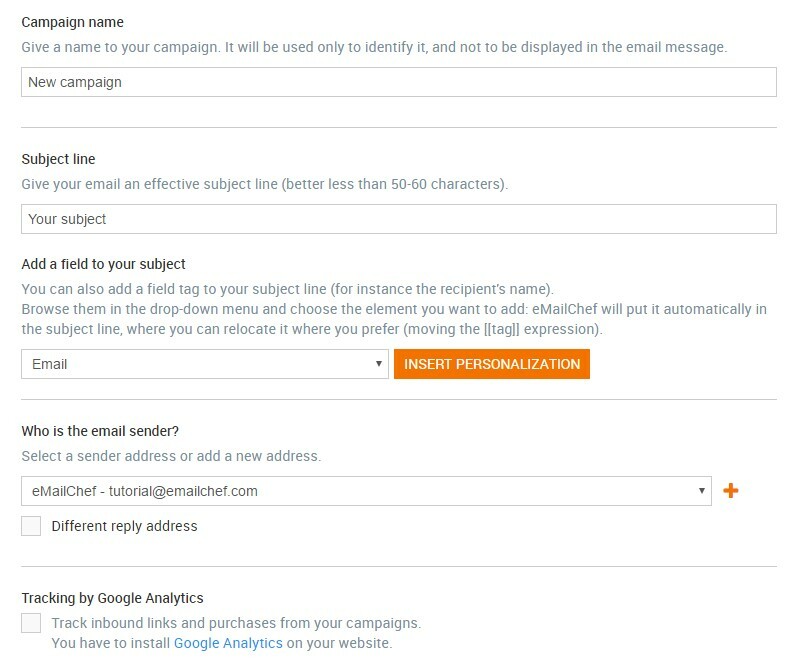 subject line: this is one of the most important features of any campaigns — your true calling card when your emails get to the inbox. That’s why we have collected all the subject line writing best practices. sender: if you have multiple verified sender addresses, you can change the default one with another here. different reply address (if necessary): as an option, you can specify another address to which all replies to your newsletter will be sent.